Be sure to connect your order to the current party! If you haven't requested a wishlist but would like book ideas, fill out this form before shopping! 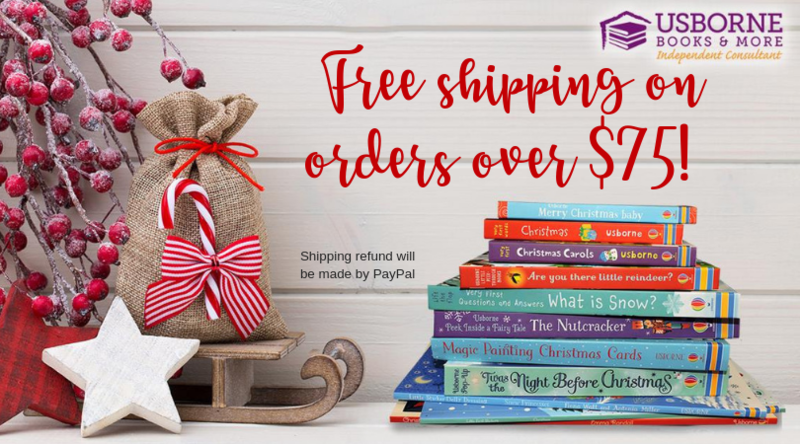 FREE SHIPPING on orders over $75! I will refund your shipping by PayPal. Order must reach $75 before shipping and tax. 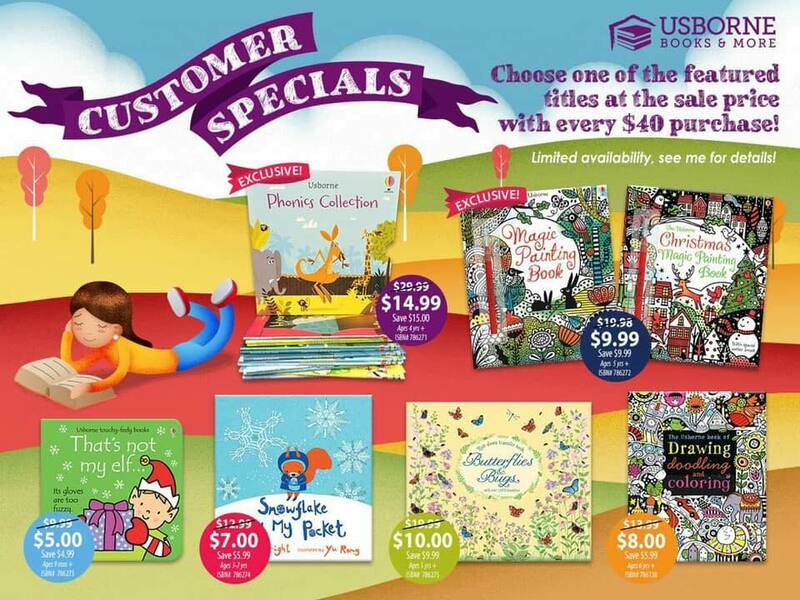 Add one of these books or collections at a discounted rate for every $40 you spend! 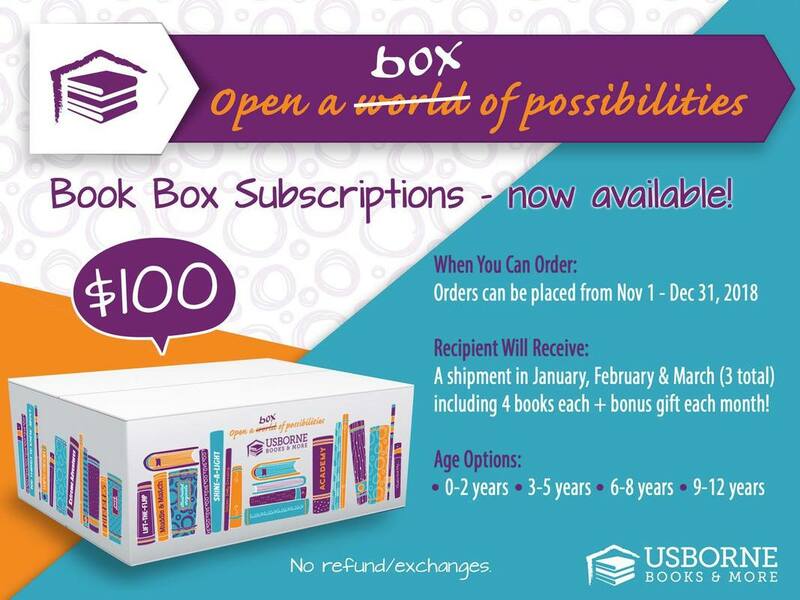 Give the gift of books for three months with our book box subscription! 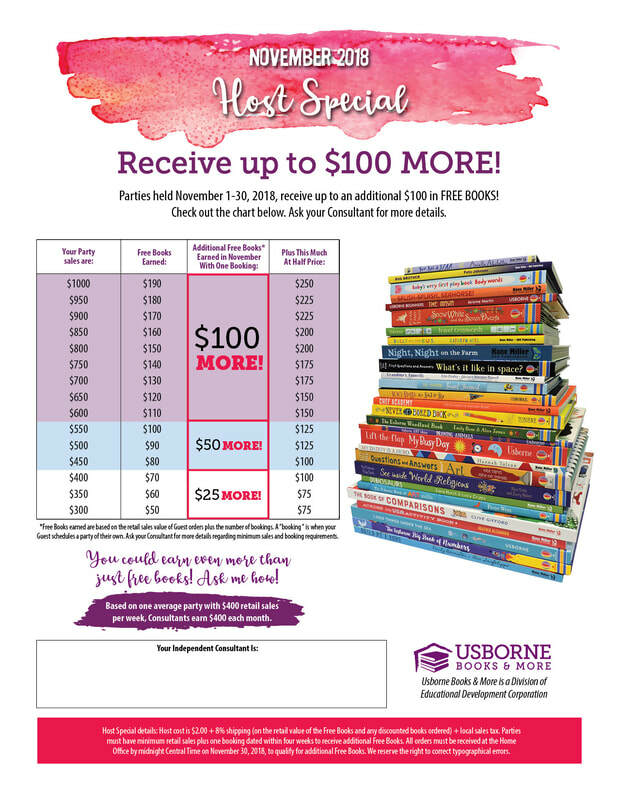 For $100 total (for three months - no shipping charge), you'll get an age-appropriate box of four books, plus a bonus gift, each month! 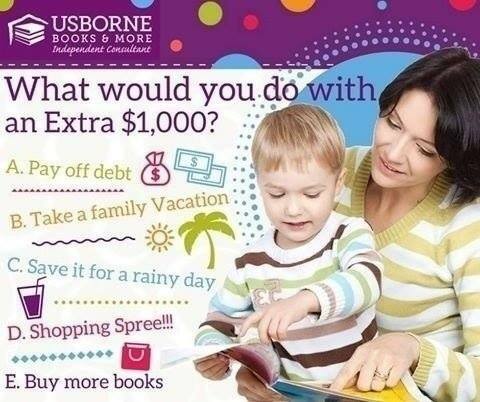 Want to get your friends together to chat books - and earn some free books for your family in the process? Host a party with me! Hosting is easy, flexible, and rewarding. See the chart to the right for our current host specials! I can adapt my party set-up to meet your preferences - whether that's a webpage party like this one, a Facebook party, an e-mail party... whatever floats your boat, really. 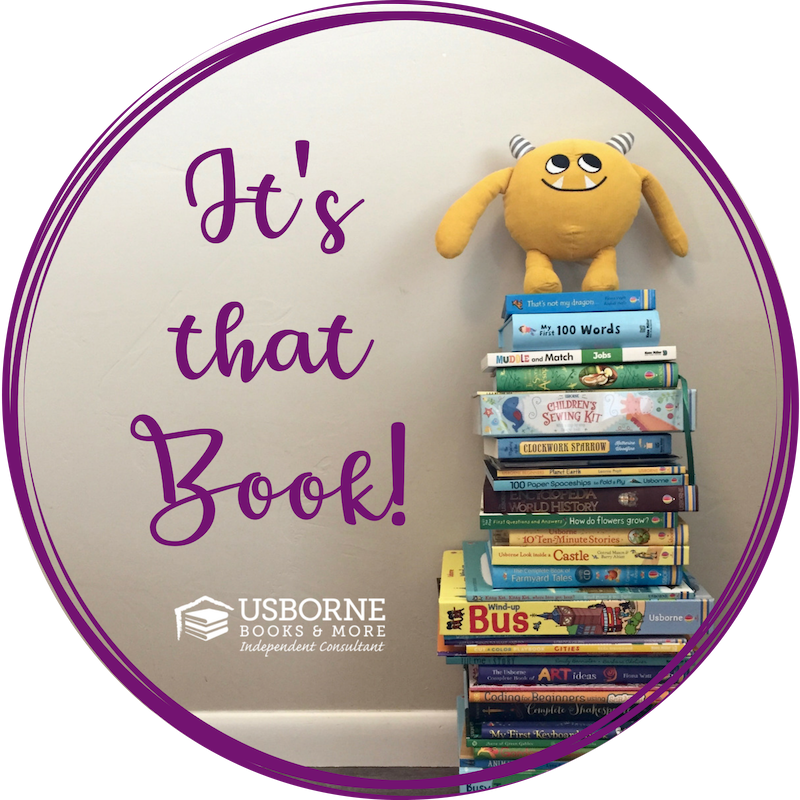 Working as an independent consultant for Usborne Books & More is a pretty sweet gig - it's flexible, fun, and improves the world through literacy! Or, check out common Questions and Answers here. Ready to jump in? Start here!